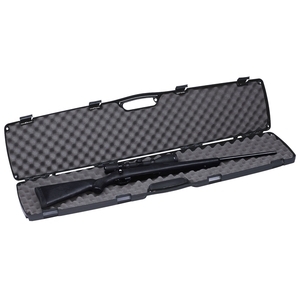 True value in a single rifle case with recessed handle and steel hinge pins for extra durability. 47.8" x 9.5" x 3" inner dim. 48.3" x 11" x 3.3" outer dim. It does the job, its perfectly good enough for the price. If you want more then there are plenty of more expensive options. Uttings - your service is outstandingly good and worthy of five stars. This product is utter garbage and not worthy of one.&nbsp;I thought 'don't buy a shoddy &pound;15 case off an auction site', instead I wasted &pound;32 at Uttings for the exact same thing. Trust me, don't bother with this unless you are curious to know how modern technology is now able to manufacture plastic that is actually thinner than a cigarette paper.&nbsp;Once again, Uttings service is amazing, but this this dire product is not. Although I didn't expect this to be a high quality product, I thought it would be better thank this. Very flimsy plastic, it is difficult to close because the clasps don't click into place. On the bright side it fits an HW77 with a 50mm objective. If I was to drop the gun in the case I would be concerned about the scope, it is proof that you get what you pay for. I got myself and my partner one of these each for when we go by car to our shooting club , also much better protection from bumps than if using most soft cases in this price range. 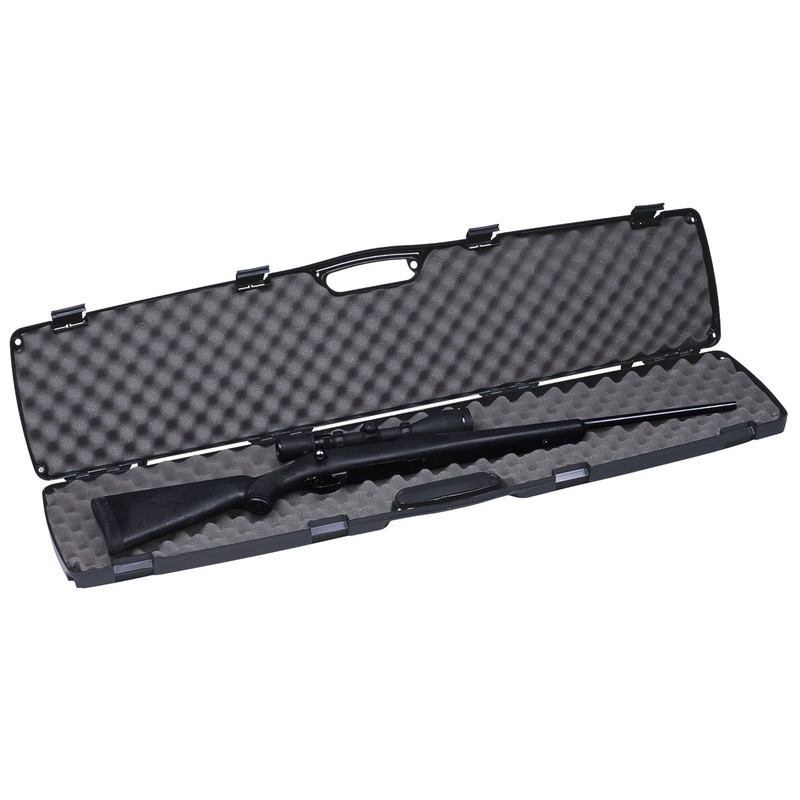 The case is not airtight but does offer GOOD waterproofness from the elements and the close fitting eggbox foam interior does a good job of holding your rifle rigid along with your accessories . It has 5 padlock points around the case-1 in each corner and 1 inside the carrying handle area. Another good point is that it DOESN'T look like a rifle case and could easily be thought of as a musical instrument when travelling in public to/from shooting club/ground.